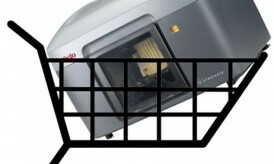 Unfortunately there is no tried and true method of finding the “best cost efficient printer on the market.” Wait! Don’t stop reading! This is only because of the variety of printers paired with the variety of uses for printers. Firstly you need to narrow down what kind of printer you need. 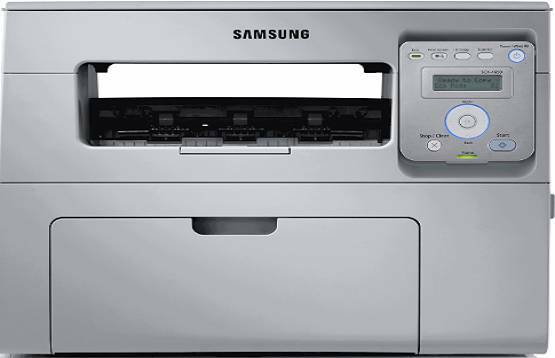 The two most common are inkjet printers that use ink cartridges and laser printers that use toner. Each one of them has their own strengths and weaknesses and realizing these can save you a lot of money in the long run. You must take into account the cost to replace or refill the ink/toner cartridge, the cost per page, and the amount of pages you’ll be printing in a given time to determine the overall cost of a printer. Take for example, the Dell V515 Wireless Inkjet Printer that retails for around $50-60.00. Not a bad deal for an all in one wireless printer that would be used in a home. That’s the initial cost, but to replace cartridges you have to pay $12-$15. Now assume you print enough photos and papers to go through the color and black/white ink cartridges once every three months (you must be an avid scrap-booker). This turns into a cost of $108 just for the ink; you’ve already tripled the cost of the printer, and that doesn’t even factor in paper. To get a more accurate number you’d need to find the cost per page. For the V515 cartridges that comes out to be $12(cost of the cartridge)/505(number of pages the cartridge can produce) = $.02 per page. This is actually a very good price for an inkjet printer thanks to the low cost of the cartridge, but this can quickly add up if you’re printing a lot. A higher end printer will last longer, will generally have lower per page costs due to ink/toner saving techniques, and a laser printer will almost always be more efficient than an inkjet. Even though toner cartridges have higher initial costs than inkjet, they print a lot more pages due to the fact that they use powder rather than ink. While the ink cartridges mentioned above are rated for 505 pages, a similarly sized toner cartridge would be rated for 1500+ pages. So why use one printer over the other? Toner printers are much more efficient cost per page, speed, and quality when it comes to printing text documents. So why use inkjet printers? For color printing and photos. An inkjet printer that uses RGB or CMYK cartridges actually blends the ink together in order to make the colors. Laser printers, on the other hand, print thousands of small dots overlapping one another to form the illusion of different colors and shades. This can make a staggering effect known as posterization. Blake Griffin fans, no need to get excited as posterization from a laser printer makes the color transition on images look unnatural and segmented rather than smooth and natural. 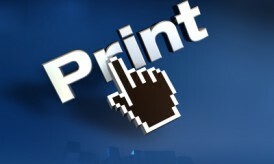 For home use, inkjet printers are probably your best bet. 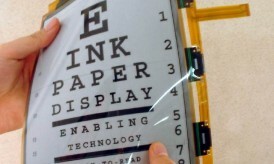 They can still print text documents fine, just not at the speed and low cost of a laser printer. In a home environment you will probably be printing a wide variety of images, and that is why the inkjet printers are the way to go. For a typical office setting, a laser printer is by far the most efficient for printing out a lot of documents quickly. Remember to look at the cost of cartridges before you buy a bargain printer because that can quickly raise the cost. Carla Eaton has a B.A. in Mass Media with a Minor in Art and Design. She enjoys writing on the topics of business, technology, and design. Good article, I’m going to forward it to my boss– Our office, like many offices, has an old, outdated inkjet printer that I’m sure causes the company to lose lots of money each year.